From the sentinels of Himalayas and Karakoram to the diverse landscape of Chinese Pamir, a well-reputed travel agency in London brings you 8 best trekking trails in Asia. 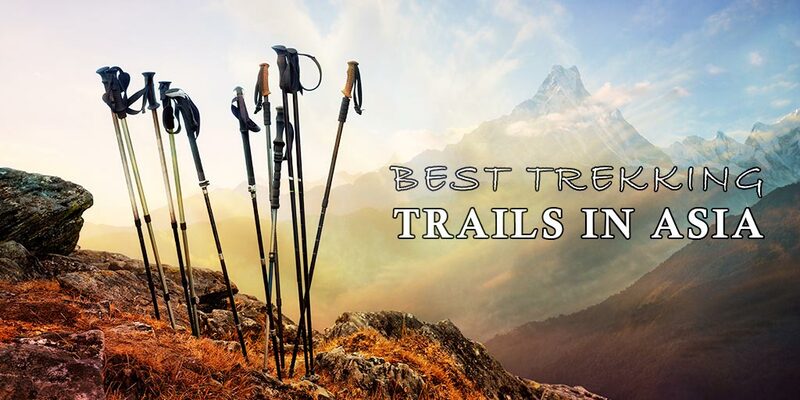 This blog post is for all the itchy feet who want to explore the best trekking trails in the highest mountains of the world. Indeed, trekking in these mighty and snow-capped peaks is a unique experience, but it comes with unique challenges. To find your limits, and push them beyond, you need to embark on a trekking trip this year so that you can discover your core strength. 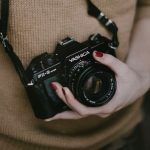 So read this article, and pick any of these trails for an amazing trekking tour. 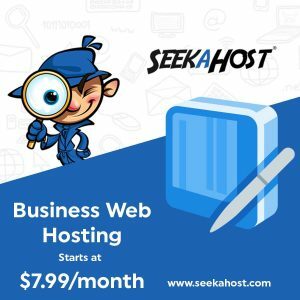 Also, if you want to earn a discount, visit website and test your luck. 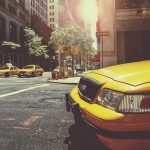 Many readers have tried and secured amazing discount tickets and travel deals. You can be the next lucky person. In this article, the trekking trails we are going to discuss are based on different factors such as their difficulty level and beautiful view. These treks can test you both mentally and physically, but they are extremely rewarding in terms of beauty and nature. 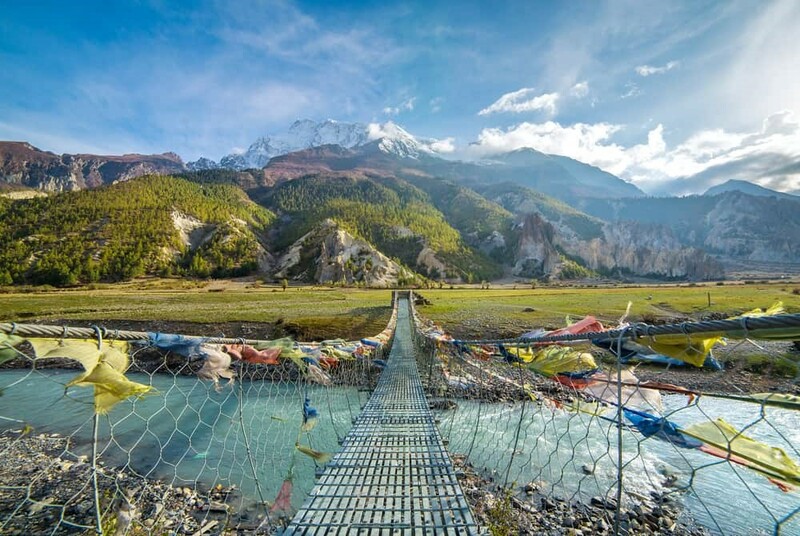 If you have a profound nostalgia to go off-roading deep into an Asian country, these trekking trails make for an unbelievable journey beyond any of your travelling trip. 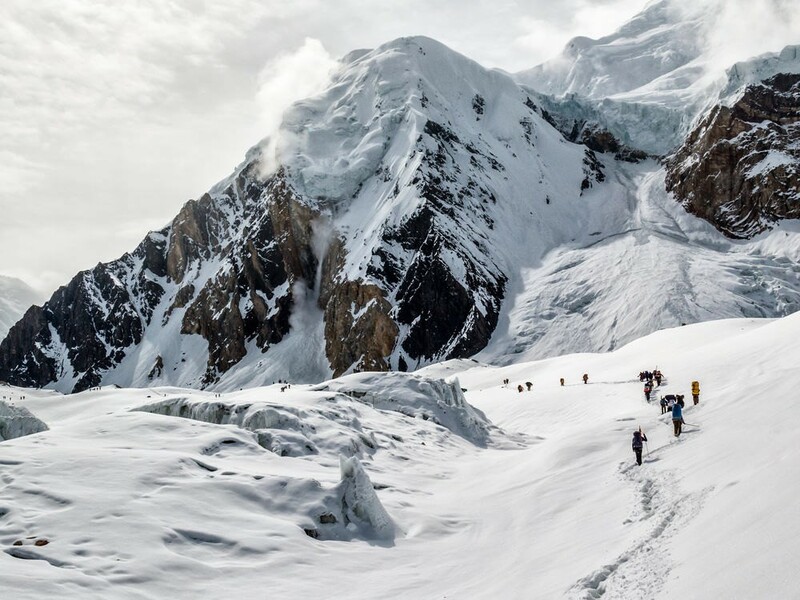 We have some amazing in-house trekkers in our travel agency, and they have provided a great insight in this article about these trekking trails. They have trekking experience in Asia, Africa, Oceania, and the Americas. So, their experience can attest to the thrill of these trails, and the raw beauty of the backcountry that you can witness after pushing your limits. So without further debate, here are 8 best trekking trails in Asia, based on our views and exploration. They are presented randomly and all locations share an equal amount of significance in our thoughts. Although their difficulties may vary, we truly want you to visit them after doing some further research on your own. 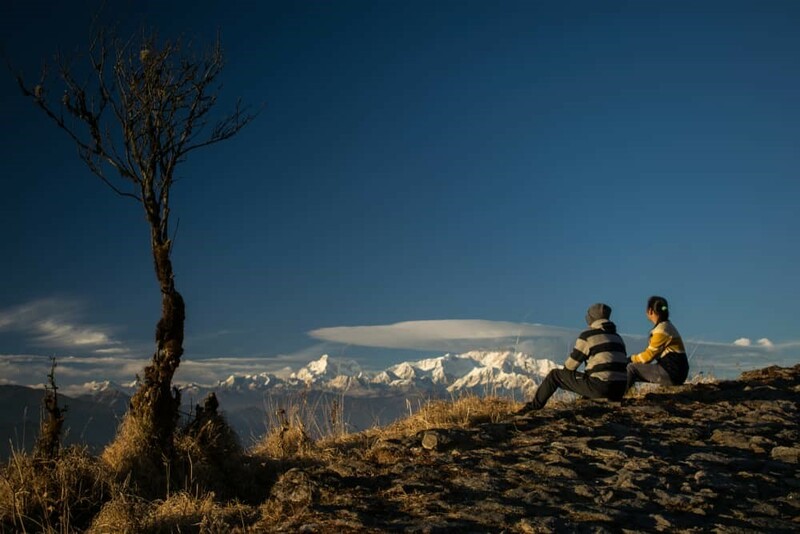 Located in West Bengal, India, Sandakphu Trail is a high altitude trek. It reaches at 3636 metres, which is 11,930 feet above sea level. Trekking at this height is not only physically demanding, but it also takes a toll on your mental health. However, the reward is even greater as you can see 4 of the worlds five highest peaks. Gazing at Mount Everest, Kangchenjunga, Lhotse, and Makalu is refreshing for the soul. If you are a mountain junkie, this view is worth all the trekking and calories you burn to reach that point. You can also watch other 7000 and 6000 metres peak from the same frame. We highly recommend our readers to trek on this trail. You can trek in jungles, on all kind of soil, and even ice. However, trekking on a frozen river is always going to be a unique experience, with a staging of equally unique challenges. Chadar Trek is such a trekking trail that involves moving with loaded backpacks on frozen Zanskar River. Located in Ladakh, and surrounded by towering mountains, this trek is one of the top things-to-do for a trekker. It is one of the most exciting and demanding treks in the world, which requires a trekker to be in a great physical and mental shape. We recommend you to take on this trekking challenge for once in your lifetime, but with an experienced guide of course. Nepal is home to some of the highest peaks on Earth. Standing at 8848 metres, Mount Everest is the highest mountain on Earth and seeing it with naked eyes is a dream of every wanderlust. So in order to fulfil this dream, we recommend all itchy feet to take Everest Base Camp Trekking trip. 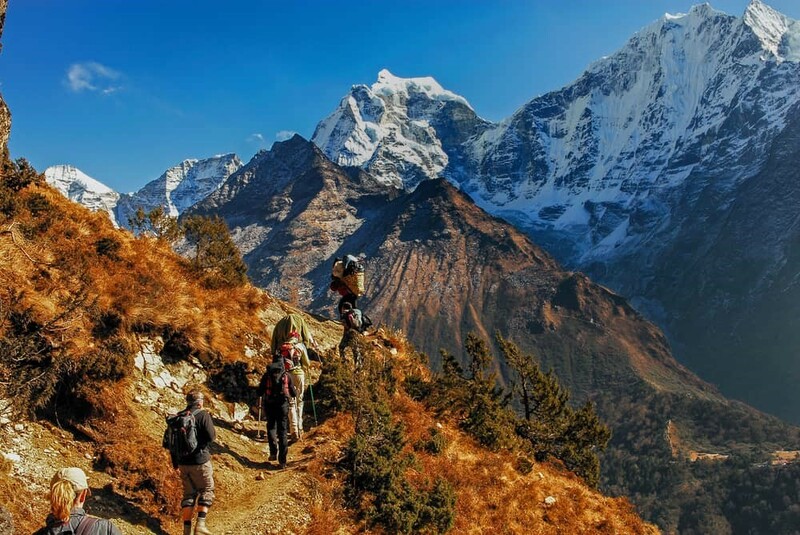 This trek involves trekking in some of the most beautiful valleys in Nepal, along with a challenging aircraft landing and take-off from Lukla International Airport, which is considered to be one of the most dangerous airports in the world. 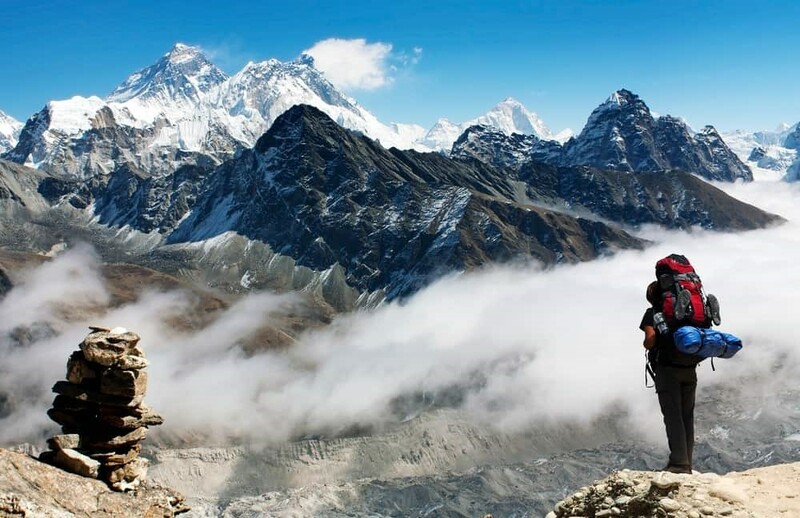 This trek presents unique view of Everest, and other famous peaks in the surrounding such as Imja Tse, also known as Island Peak, Ama Dablam, Kala Pathar, and etc. Once you reach the Base Camp of Everest, you can experience an amazing atmosphere and the local Sherpa culture and traditions. This trek is dubbed by some as the steps to heaven, and people who have undertaken it can easily attest to this fact. Located within Annapurna Mountain Range of Central Nepals Himalayas, Annapurna Circuit is a trekking paradise for everyone. Loaded with all kinds of amazing treks on a course that varies between a 160 230 kilometres long route, these trails present a unique chance to witness nature and raw beauty. This trek cuts between two river valleys that is surrounded by Annapurna Massif. You can witness the might of Annapurna Mountain, which is an 8,091 metres high peak. You can also see other peaks such as Manaslu, Dhaulagiri, Machhapuchhre, Pisang Peak, Tilicho Peak, and numerous other peaks between 6000 and 7000 metres. The highest point of this trekking circuit is Thorung La Pass (5416metres/17769 feet), which touches the edge of Tibetan Plateau. Trekking to K2 Base Camp is an exciting challenge for a trekker. You have to trek on a rocky surface, under which is Baltoro Glacier. The trek is almost 15 to 17 days long from Skardu, and each day you have to trek for up to 7 to 9 kilometres. You camp on a glacier and drink water that comes from a melted glacial ice. This experience is unique and challenging in every way. At the end of your journey, you are rewarded with an exclusive sight of mighty K2 (8,610 metres), the 2nd highest peak on Earth along with other 8000ers such as Broad Peak and Gasherbrums. Unlike any other mountain, there are only a few K2 viewpoints. This is due to its location in a dense high altitude mountain range of Karakoram. The best way to see this beautiful king of all mountains is to trek to its base. So are you up for this challenge? Fairy Meadows is a piece of heaven on Earth. Located in the Diamer District of Northern Pakistan, this place is breathtakingly beautiful just as its name suggests. The trek is mildly difficult, and you can even hire porters as well as ponies on some part of it. 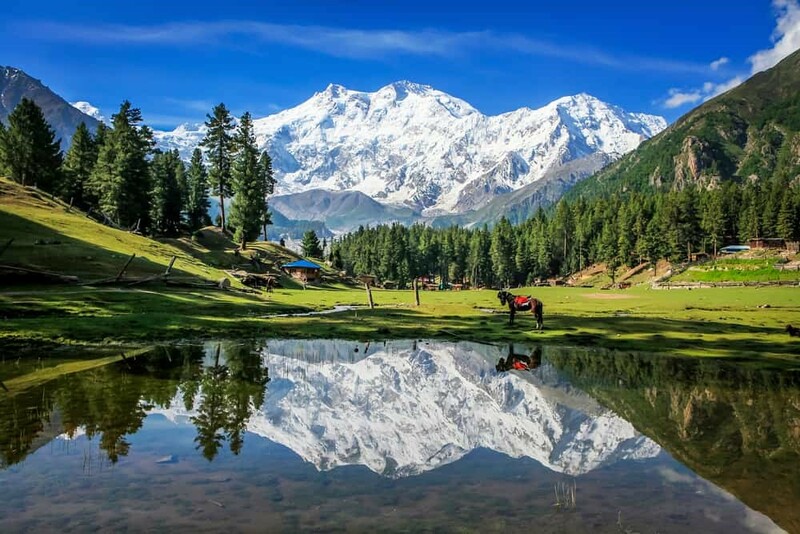 Unlike any other trek in this list, Fairy Meadows trek is just a few hours long. But what makes it difficult is the horrendous ride to the trekking point from Karakoram Highway. This 4×4 jeep road is considered to be one of the most dangerous roads in the world, and it is not for the faint-hearted people. However, if you pull your spirit and complete that jeep journey, the reward is totally worth any pain and hardship. From Fairy Meadows, you can see the ninth highest mountain Nanga Parbat (8,126 Metres). You can further trek towards Beyal Camp, as well as Nanga Parbat Base Camp. Mount Kailash is a sacred site in Hinduism, Buddhism, Jainism, and other religions. Each year, it is visited by many people for the sake of pilgrimage. This site is also known for its amazing trekking trails with beautiful valleys and lakes. The overall experience is relaxing and enlightening for trekkers, and it offers breathtakingly beautiful views of sky-piercing mountains. You need to be in the best form of physical shape as trekking at high altitude is not easy. Paths are steep and rocky, and they can ascend to 5,600 metres in no time. The Pamir Mountain Range is the least visited part of the world that offers some of the most beautiful landscapes and geography to all visitors. The scenes are picturesque, with an influx of lush green meadows and snow-capped mountains, rural areas, valleys, rivers, and high altitude lakes. Although there are quite a lot of trekking opportunities spread across different countries with this range, we recommend Muztag Ata Trek to our readers. This trek is breathtakingly beautiful, and the splendour of Muztag Ata cannot be described in words. 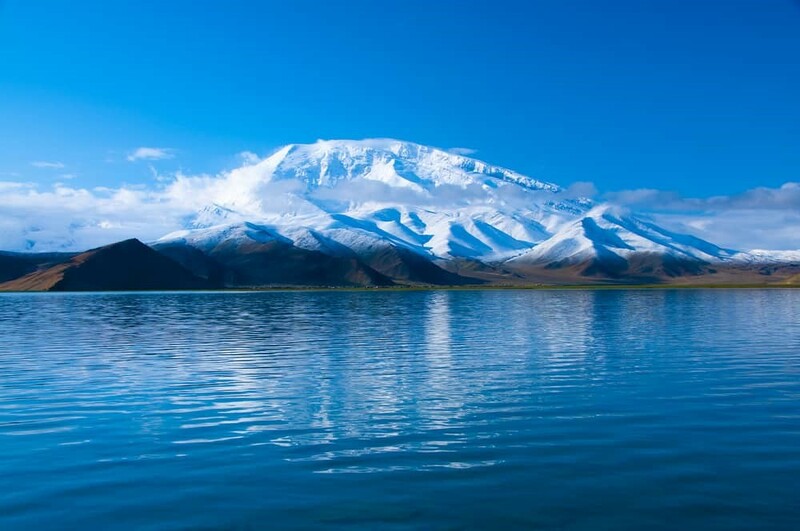 The second highest peak of Northern Tibet Plateau is home to many mountains. Muztag Ata Base Camp trek is one of the best hiking experience a person can undertake. This peak is easily reachable from Kashgar City via Karakoram Highway, and trekking with a group of friends, or people is one of the best escape you can take from all the hassles of your life.